There’s that house in Yorba Linda owned by folks who live out of the country: The sprinklers were never adjusted for a state-ordered 36 percent water cut. California Governor Jerry Brown has issued an executive order to prepare for a fifth year of drought. The 60-year-old reservoir held 140,501 acre-feet of water at mid afternoon [Nov. 14], or roughly 14 percent of capacity, according to California Department of Water Resources data. Despite forecasts of a wet winter, Californians can expect another year of water conservation in 2016 under an executive order issued Friday by Gov. Jerry Brown. California’s urban areas should prepare to keep conserving water until at least next fall, Gov. Jerry Brown said Friday. In 35 years, nobody’s seen numbers like these. In a personal survey this week of 125 recreation lakes, 33 are under 25 percent full, and that includes 19 that are less than 10 percent full and four that are empty. California was scandalized when one home in the Los Angeles area was found to be using 11.8 million gallons of water a year amid a drought. Well, how does 13.8 million gallons sound? Escalating the fight over California’s diminished water supply, a coalition of environmental groups sued Central Valley farmers and the federal government over the possible extinction facing an endangered run of salmon. For the second Sunday and Monday in a row, Northern California got a pretty good soaking, without the thunderstorm drama of Nov. 2. When hundreds of lightning strikes lit up the Bay Area during an early morning downpour Monday, Ed Beyeler looked out his window in San Francisco and thought one thing — snow. As California enters the fifth consecutive year of unprecedented drought, Congress is debating two competing bills designed to provide federal drought relief to California agriculture. The proposals reveal stark differences in proposed federal water and environmental policy. Two areas of California considered to be in “exceptional” drought were upgraded to the “extreme” category — the best either area has seen since at least the beginning of summer, according to the U.S. Drought Monitor. The storms that brought rain and snow to California and Nevada over the past week brought slight improvement in the drought. It takes a lot of water to feed the lush lawns that drape in vibrant folds across the Menlo Country Club’s golf course on the edge of Woodside. And, apparently, a crippling drought is seen as no reason to pull back on the spigot. Despite prodigious reporting on California’s historic drought, many details remain hidden from view or shrouded in secrecy. So we decided to put a call out to our readers: What stones remain unturned? A legal battle is brewing in Washington over President Barack Obama’s plan to reduce greenhouse gas emissions, setting states economically dependent on fossil fuels against those already suffering from longer droughts, stronger storms and higher seas. A rice variety developed and grown in California has won the top award in a worldwide competition, and the state’s drought may have had something to do with it. House Majority Leader Kevin McCarthy, a persistent critic of California’s high-speed rail program, said that the funds for the project should be diverted to quench the state’s severe drought. Across California, after years of punishing drought, reservoirs that normally fill canals and make crops bloom are greatly depleted or even empty. Some say that getting more water into storage by building more dams is key. California is soul searching right now on how to deal with the drought. Should it build more dams? Or are there already enough dams — more than 1,400 — in the state, and not enough water to fill them up anyway? With portions of the Tahoe region reporting 465 percent above the average snowpack following the first winter storm of the season, Monday, Nov. 2, it’s clear the Sierra Nevada is in for a winter for the ages. Right? More than 2,000 California homeowners have run out of water in the drought, according to the state website that tracks such data. But many homeowners whose wells have run dry haven’t reported it. A day of heavy snow may have turned swaths of the Sierra Nevada into a winter landscape, but it’s too early to tell if it will have a lasting effect on the winter snowpack, forecasters say. Should we be carving jack-o’-lanterns during a drought? You may have heard a few things about pumpkins: There’s a shortage nationwide or there’s a shortage in California due to the drought. Lamenting “the worst epidemic of tree mortality” in the state’s modern history, Gov. Jerry Brown on Friday sought federal aid to remove dead trees from California forests and called for more controlled burns to reduce the risk of wildfire. UC Riverside economist Christopher Thornberg told hundreds of business leaders at a recent economic forecast that there is no drought. … The content of his address surprised and frustrated some water officials, who said the declaration of drought is based on hydrology, not economics. There’s far more riding on the Americas’ largest seawater desalination plant than the 50 million gallons of drinking water it will produce for the San Diego area each day. Acre by acre, Sacramento Valley farmland is being transformed. Pastures and row crops are giving way to more valuable orchards. Regulators are praising the Californians who conserved water in September, but issuing the first fines to four urban water suppliers who waited too late to conserve or failed to enforce conservation standards. Thanks to the drought, a visit to Folsom Lake right now is a chance to walk through California history. In their zeal to conserve water during the fourth year of a historic drought, many East Bay residents have become water snitches, tattling on neighbors for hosing down driveways, leaving sprinklers on all night and even excessive bathing. Recent high tides and brief mid-September rains gave some Eel River salmon a fleeting chance to move closer to their spawning grounds. But a lack of adequate flows on the river is causing many fish to fall ill as they crowd within small pools for weeks at a time, according to a recent survey by the Eel River Recovery Project. The batch of 1,098 East Bay Municipal Utility District customers who sucked up more than their share during a 60-day billing period this summer was a who’s who of some of the richest people in the Bay Area. Right now, migrating waterfowl are looking for wet places to land and feed. … This week, several Sacramento River farm water districts finalized a deal with the federal Bureau of Reclamation to use water later in the year, to provide water for birds in November. State officials plan to tell Californians what penalties they are taking against communities that fail to meet a mandated 25 percent reduction in water use when they announce usage figures Friday, in the state’s battle against a widespread drought. As California braces for torrential downpours this winter from El Niño, authorities have stockpiled extra sandbags across the state while putting hundreds of personnel through flood-control training, officials told state lawmakers on Wednesday. With the harvest ending and demand for water on the decline, senior water-right holders can once more draw from the San Joaquin River, state officials announced this week. Another deadly summer of drought has heightened fears of extinction in the wild for an iconic California salmon, federal officials said Wednesday. A Wednesday state Senate hearing dove into a topic on the mind of many Californians, examining how an anticipated El Niño surge of wetness could affect residents and force a pivot from drought preparedness to flood response. One of the last wild runs of chinook salmon in California is sinking fast amid the four-year drought and now appears perilously close to oblivion after the federal agency in charge of protecting marine life documented the death of millions of young fish and eggs in the Sacramento River. This year’s spawning season for endangered winter-run Chinook salmon is looking like another disaster, placing one of California’s most prized native fish in an even more precarious position. Many Californians have already mentally deposited oceans of rainwater into our depleted reservoirs, thanks to the hype surrounding a projected Godzilla El Niño this year. The only problem is that actual deposits haven’t really amounted to much just yet. With the harvest largely over, the State Water Resources Control Board said there’s enough water in the Sacramento-San Joaquin watersheds so that holders of senior water rights could once more divert water from rivers and streams. This issue examines the impacts of California’s epic drought, especially related to water supplies for San Joaquin Valley rural communities and farmland. Running your lawn sprinklers when you shouldn’t? Got a leaky pipe that’s sending water onto the street? The cash-for-grass program has existed for years in Southern California, but it reached a pinnacle this year, as the drought intensified and local water districts increased the size of the rebates, sometimes to as much as $4 a square foot. … But the costly initiatives are not simply about conservation. An epic rainstorm brought mudslides, flooding and road closures to Southern California recently, but it did little to ease the state’s four-year drought. … The problem revolves around El Nino’s typical behavior and the lopsided nature of California’s mostly man-made plumbing system. With California in the group of a five-year drought, a group of politicians from the state are in Australia, hoping to learn from the experiences here in the millennium drought. Decades before someone coined the Twitter hashtag #droughtshaming and people began posting YouTube videos of their neighbors’ drowning lawns, California water suppliers encouraged conservation by releasing the names of their biggest water hogs. For all our reporting on the secrets of California’s historic drought, we know there still are many stones left unturned. … Which question do you most want our reporters to answer? Few places in California are more remote from urban life than Round Valley, but the watershed and [Richard] Wilson are central to understanding why Governor Jerry Brown and other powerful interests are avidly pursuing several multibillion-dollar dam projects and two massive water tunnels that are strikingly similar to plans laid out in economic and engineering charts in California in the early-1950s. While the rest of us hope for a strong El Niño this winter, California lawmakers are looking to farther-flung locales for solutions to the state’s historic drought, now deep into its fourth year. It was the latest in a series of October storms that could provide a preview of what’s in store in the coming months as an El Niño system moves in and threatens to bring unstable weather to the Southwest…. California is bracing for a rainy winter, potentially easing the drought while creating new problems such as flooding and mudslides. California lawmakers are joining environmental, labor and business leaders on a trip to see how Australia managed its longest and most severe drought on record. Citing concerns the drought might reduce revenue for Central Basin Municipal Water District, Moody’s Investor Service has downgraded by one notch its rating for the district from Aa3 to A1. Suburban homeowners ripping out thirsty lawns are dotting their new drought-tolerant landscapes with milkweed native to California’s deserts and chaparral – plants that have the potential to help save water and monarchs at the same time, because the female monarch will only lay her eggs on milkweed. The Forest Service had estimated that nearly 12.5 million trees in the state’s southern and central forests were dead. But as [Greg] Asner peered down upon the same forests from his airplane at 6,000 feet, he saw something far worse. Drought doesn’t instantly ravage the way flooding does. It advances at a steady, determined pace, building and spreading during several years. Fields wither, reservoirs drop to dangerously low levels and the memory of what constitutes a normal water supply becomes more distant. The four-year drought in California is beginning to squeeze food banks. Around California, drought has taken a toll on small “agritourism” farms that once thrived on the Halloween season crowd. Some have shut down, while others have stopped growing their own pumpkins or trimmed acres from their corn mazes and canceled activities that require water. Water suppliers take different approaches on what they reveal about guzzlers even though California’s more than 400 water districts are under state orders to reduce use. … East Bay water officials said it’s simple to them: Customers were outed for violating a district policy. As Congress considers an appropriate response to the Western drought, our experience in California gives us a keen sense of how Congress can best help. … I [California Natural Resources Agency Secretary John Laird] take passage of Proposition 1 as a resounding endorsement of a constructive approach that does not pit urban or agricultural users against one another and does not undermine water rights or environmental protection laws. Oakland Athletics executive Billy Beane and a retired Chevron Oil executive are among the top excessive water users in a district east of San Francisco, utility records show. Oakland A’s big cheese Billy Beane, famous for his statistical money-saving approach to assembling a baseball team, has been far less economical with his water, according to an East Bay Municipal Utility District roster that places him among the top water hogs in the East Bay. The East Bay Municipal Utility District on Thursday released a list of customers who were hit with monetary penalties because they pumped about 1,000 gallons of water per day during the past two months. That’s compared to what the average residential customer uses: about 250 gallons per day. Wildlife managers are worried again this year: Will there be enough wet habitat for millions of birds in the Sacramento Valley? Before the drought, 250,000-300,000 acres of California rice lands was flooded each winter. Northern Los Angeles County was pummeled Thursday by a series of torrential downpours that caused mudslides and flash floods that inundated roads, trapped drivers and forced the closure of nearly 40 miles of Interstate 5, cutting off California’s main north-south artery. On Thursday, a new federal forecast said El Niño is continuing to strengthen, with experts saying it’s on track to produce potentially record rainfall. … The forecast for a wet winter now covers the mountains that feed California’s most important reservoirs, Shasta Lake and Lake Oroville. It [the National Oceanic and Atmospheric Administration] reiterated earlier predictions that California can expect one of the strongest El Niño winters ever, with above-average rains increasingly likely for the central and southern parts of the state. Northern California, home to most of the state’s major reservoirs, remains tougher to forecast. As members of the California Water Commission convened Wednesday night in Clovis to update the public on the Water Storage Investment Program, conversation centered on one topic: Temperance Flat Dam. … Water bond money is seen as competitive. Some irrigation districts in the Northern San Joaquin Valley ended the season with more water than expected to carry over into 2016, but the drought still looms. Even as Sacramento waits for the soaking El Niño forecast to hit this fall, Folsom Lake continues to lose water and will almost certainly fall Thursday to its lowest level in more than 20 years, government data show. A new Field Poll released Tuesday showed that 76 percent of registered California voters now call the state’s water situation “extremely serious,” up from 66 percent in May and 60 percent in April 2014. … Some regional differences persist. Californians sharply cut water use this summer, prompting state officials to credit their new conservation policies and the sting of thousands of warnings and penalties that they had issued to people for overuse. But the most effective enforcers may be closer to home: the domestic water police. Evidence is mounting that the El Nino ocean-warming phenomenon in the Pacific will spawn a rainy winter in California, potentially easing the state’s punishing drought but also bringing the risk of chaotic storms like those that battered the region in the late 1990s. California’s punishing drought has taken a firm grip on the electorate’s conscience, with more than 3 in 4 voters describing the state’s water shortage as extremely serious, according to a new poll. Cities under pressure from California for failing to slash water consumption enough during the prolonged drought are cracking down on residents. That’s prompting an outcry in places such as this Fresno suburb [Clovis], where officials handed out more than $500,000 in fines this summer for violations including lawn watering. Drought relief legislation proves challenging in D.C.
Thursday’s Senate committee hearing on legislation to provide drought relief in the West showed why passing anything on this issue is so difficult. Chair of the Senate Energy and Natural Resources Committee, [Sen. Lisa] Murkowski convened the two-hour hearing Thursday primarily to consider significantly different House and Senate versions of California water legislation. The morning hearing was the first to be held specifically on the bills. A massive El Niño is among the strongest on record as it gains strength in the Pacific Ocean, and climate scientists say California is likely to face a wet winter. Fort Bragg officials will be reconsidering some of the strict emergency water rules they implemented last week following a flurry of objections from restaurateurs, who say ordering them to use only paper plates and plastic utensils is expensive, counterproductive and unfair. Along a picture-postcard stretch of coast in Carlsbad near San Diego, fishermen cast their lines into an emerald seawater lagoon. In a few short weeks, the lagoon will also be feeding a steady supply of water into what will be the largest operating desalination facility in North America. Pot growers have been put on notice by state regulators that they will have to follow the same rules as the rest of the agriculture industry in protecting the state’s drought-stricken water supply. Things are bad everywhere in California, but the big dry has gotten so severe in the coastal city of Fort Bragg that fancy restaurants are now being ordered to plop their filet mignons on disposable plates and pour wine into plastic cups to avoid washing dishes. When Gov. Jerry Brown announced sweeping mandatory reductions in water use last spring, some questioned whether the California dream was over. But since then, cities across the state have adapted to the drier new reality by reshaping the way they operate. Long gone are the luxury boats that drew stars inland from Hollywood to this accidental sea that first filled with Colorado River water after a massive 1905 canal breach. … The Southwest’s worsening water shortage will make saving the Salton Sea difficult, because any fix requires water from an over-stressed Colorado River. More than 300 farmers, workers and elected officials from throughout the Valley gathered Friday at Rojas Pierce Park in Mendota to urge Gov. Jerry Brown to call a special legislative session to deal with California’s water crisis. Amid a drought that has created bone-dry conditions across much of California’s wildland area, a state fire prevention account has ended recent fiscal years with tens of millions of dollars unspent. Whether an act of goodwill or a desperate move under duress, an agreement by Delta farmers to voluntarily reduce their water use last spring likely spared them from deeper cuts in the middle of the summer growing season, a state official said this week. Conservation numbers for California come out Thursday. Residents have been seriously saving water in the last few months, spurred by severe drought conditions. … So how bad is the drought? In the midst of a searing drought, one home in this exclusive West Los Angeles neighborhood used an astonishing 11.8 million gallons of water in one year – enough for 90 households. … It’s the same story throughout urban California. Despite the drought, well-heeled residential customers in affluent neighborhoods are being allowed to use as much water as they want to buy, according to a review of utility records from the state’s biggest urban water agencies. State officials were preparing to close the books on California’s water year Wednesday and said 12-month precipitation totals were likely to be near record lows. A state water official said Californians have met a mandate to save water for a third consecutive month during the grinding drought. The State Water Resources Control Board on Thursday will release statewide conservation figures for August. The state’s ninth-largest reservoir, the main water source for the Sacramento suburbs, is currently at 18 percent capacity. The historical average for this time of year is 30 percent. The Hoover Institution’s Golden State Poll focused on how to address the state’s fourth year of drought. It found 54 percent of likely voters back current water cuts. It was the worst drought in California’s history. … Facing a crisis, Gov. Jerry Brown decided it might be time to tackle a thorny political subject: water rights. … It was 1978. Because of California’s drought, historically low humidity in brush is allowing flames to spread more quickly than ever, creating serious implications for residents and firefighters. For Californians, for whom the sound of rain has become an exciting novelty, the idea of a rainy season sounds like the promise of salvation. The drought will end, and we will be saved. It’s harvest time in Sacramento Valley rice country, and like a lot of farmers in the state, rice grower Fritz Durst loves the idea that California agriculture helps feed the world. “Across California and the Great Basin, drought remained unchanged as the region continued through its climatologically dry summer season,” according to the U.S. Drought Monitor released Sept. 24. Flames from California’s third-most destructive wildfire on record not only consumed hundreds of homes but also left deep burn scars that can be seen from space. … Years of aggressive firefighting, drought and few prescribed fires left the forest overrun with brush and timber, according to NASA. Q&A: California’s fire problem — Is it mostly a people problem? The Eastside Water District board voted Thursday to ask its farmers for $6 million for a groundwater recharge project. The system would eliminate no more than 10 percent of the overdraft in the 61,000-acre district, which straddles Stanislaus and Merced counties southwest of Turlock Lake, but backers said it would be a worthwhile start. The ongoing drought, combined with slower but significant shifts brought about by climate change, is changing the way California’s largest fire protection agency does business, according to state officials. Saltwater intrusion challenges nearly every town and farm district in California that borders the Pacific. Many have been fighting back the ocean for generations. Bulletin 52, the first state report to document the salt problem in the Salinas Valley, a farming center just south of Watsonville, was published in 1946. Those with the longest rights get top priority; they’re called senior rights holders. But they were not immune to the ongoing drought. Giant Sequoias growing in California’s Sierra Nevada are among the largest and oldest living things on earth, but scientists climbing high up into their green canopies say they are seeing symptoms of stress caused by the state’s historic drought. Some East Bay Municipal Utility District customers are complaining their water has tasted and smelled worse recently. How much rain will it take to end California’s drought? To nudge California out of drought territory, it will take almost double the amount of rain that falls in a normal year during the upcoming rainy season that starts in less than two weeks, according to a recent analysis prepared by National Oceanic and Atmospheric Administration meteorologists. Dozens of California farmers and water agencies that were told to stop drawing river water in June, even though they had what are known as senior water rights, have been allowed to resume pumping. Drop by drop, millions of gallons of irrigation water are lost every year due to leaks from aging underground pipes in the central San Joaquin Valley. The state on Friday cleared some farmers, water agencies and others to resume pumping from three Northern California waterways, easing one of the toughest restrictions stemming from the state’s four-year drought. State regulators have lifted water-use restrictions that they had previously imposed on a handful of California’s most senior rights holders during the drought. Water managers in Los Angeles and Las Vegas are poised to adopt a drought-driven deal to send enough water to serve about 300,000 homes annually from the Lake Mead reservoir to Southern California. Strong market prices and increased production helped push Madera County’s 2014 crop values to a record-high $2.2 billion. … Hardest hit by the drought were field crops, including cotton, corn, oat hay and wheat. Experts said at least another month, possibly two, of extreme fire risk remains before hoped-for El Niño winter rains could begin to dampen dry grasses, shrubs and trees all over California. In a paper published Monday in the journal Nature Climate Change, scientists estimate that the amount of snow in the Sierra Nevada was the lowest in more than 500 years. … The report is the latest in a series of studies that have sought to characterize the depth of California’s four-year drought and place it in a broader historic context. Hemet’s water department has been ordered by the state to beef up its conservation efforts or face fines of $500 a day. Extreme weather conditions and steep topography were factors in the rapid spread of the Butte Fire. But Daniel Berlant with Cal Fire says the state’s historic four-year drought was a factor in the Butte Fire and the Valley Fire. Citing the damage to homes and crucial infrastructure, Gov. Jerry Brown declared a state of emergency Sunday for Lake and Napa counties, allowing the state to mobilize various resources, including the California National Guard. He had already declared a state of emergency Friday for Amador and Calaveras counties, where the Butte fire has forced residents to evacuate and threatened scores of homes and businesses. A bipartisan group of 47 state Assembly members delivered a letter to Gov. Jerry Brown on Friday asking him to declare a special session to tackle problems related to California’s ongoing drought. Researchers are hoping the preservation of 10,000 acres of watershed land west of Lake Tahoe can help provide solutions to California’s persisting drought and wildfire epidemic. The gates will open Monday on the fish ladder to the Feather River Fish Hatchery in Oroville, beginning the two-month process that will see 15 million chinook salmon eggs harvested for further continuation of the species. After four parched years, most California voters seem to be taking the drought in stride, saying it has had little to no effect on their daily lives. They oppose sacrificing environmental protections to expand water supplies and generally approve of how Gov. Jerry Brown has handled the crisis, according to a new statewide USC Dornsife/Los Angeles Times poll. A soaking El Niño weather system is in the forecast, promising to pummel California with torrents of rain by the end of the year. That would seem like Champagne-popping news as this state suffers through its worst drought in a millennium. As Sacramentans endured another round of triple-digit temperatures Thursday, weather forecasters offered predictions of relief in the months to come: A strong El Niño winter is almost certainly heading toward California, likely bringing heavy precipitation. 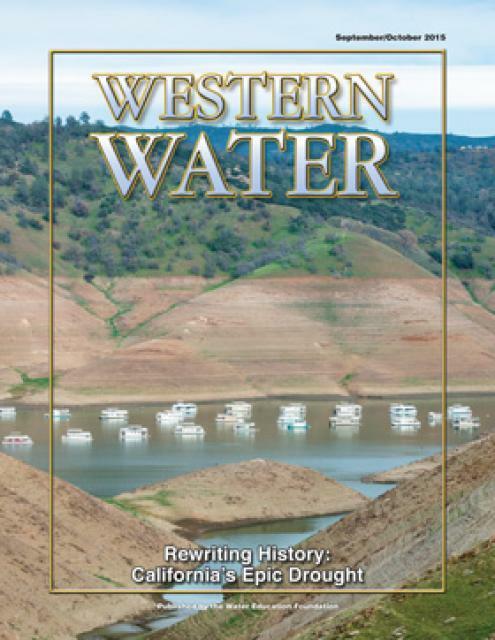 For decades, bits and pieces of local history and the ghosts that guard them remained deep beneath the murky waters of New Melones Reservoir, Lake Don Pedro, Folsom Lake and other man-made drowners of artifacts. U.S. District Judge Lawrence J. O’Neill of the Eastern District of California fired the latest shot in the most recent court skirmish in the Golden State’s endless water wars. In denying two Central Valley Project water districts’ attempt to halt fish kill prevention flows from the Trinity to the Klamath River, Judge O’Neill delighted Hoopa and Yurok tribal officials alike. Many counties throughout the state and the San Joaquin Valley have successfully reduced the amount of ozone in the air. But levels of soot, or particle pollution known as PM-2.5, have started to increase after years of decline, according to state figures. Officials are blaming the drought. Wildfires burned amid a week of triple-digit temperatures across California, while some sections of the state saw sudden thunderstorms and flash floods that left one hiker dead. Among all the apocalyptic disasters that Californians routinely prepare for — earthquake, drought, wildfire, carmageddon — the most welcome is rain, even though giant El Niño events like the one currently massing in the Pacific can bring their own set of calamities: flooding, mudslides, carmageddon with hydroplaning. Almond harvest is wrapping up in the Sacramento Valley, with a harvest earlier than most can remember. [John] Stoffan is among the California homeowners living near wild lands who have seen their rates increase sharply because insurance companies are increasingly wary of high fire-risk areas. Factors fueling insurer’s fears include the drought and some huge recent blazes, such as the 2013 Rim fire that burned more than 250,000 acres in and around Yosemite. The unseasonably high temperatures have sweeping, statewide repercussions well beyond adding a few extra dollars to a homeowner’s September electricity bill. Almond farmers across the state face an unexpectedly urgent need to keep their lucrative trees’ roots soaked in the middle of the harvest, when the trees are at their most vulnerable. Drought is killing California’s hydroelectric power. Can solar make up the difference? Although the state’s electrical grid has taken a punch from the drought and record-high summer month temperatures, it has remained standing. A state mandate to convert from burning oil, coal and natural gas, which release carbon dioxide into the atmosphere and contribute to global warming, to solar, wind and geothermal energy has helped.